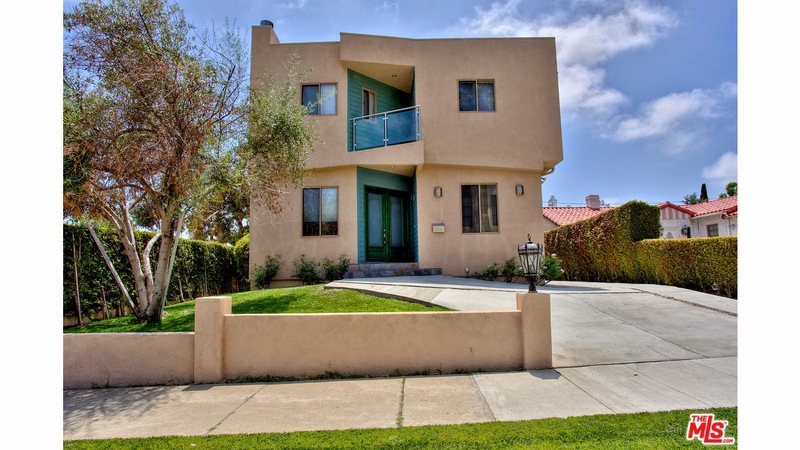 The Westwood home at 2143 Kerwood Ave, LA CA 90025 received a price reduction of 5.06% or $100,000, down to $1,875,000. Listed June 11th, 2014 for $2,195,000, this is the 2nd price reduction of the listing term. Built in 2006, this home is updated and in move-in condition. This could be good for someone looking for a home office. There is the main house on the Kerwood/Olympic corner and then a 2 story guesthouse or office in the back of the property with it's own address on Olympic. In fact, the property is set up so that you could have customers come through a side entrance to visit your office in the guesthouse. And not have to go through the front of the property. According to the MLS, the home is a 5 bedroom / 4 bath, 4,052 sq ft of living space on a 6,010 sq ft lot.